A non-harmonal aid for a slim figure. Safe di-uretic capsules to reduce excessive fat deposit (source of cholesterol). A non-hormonal herbal preparation to reduce excessive fat deposit (source of cholesterol) and for its prevention. Checks excessive appetite, promotes assimilation and evacuation, reduces interstitial fluid and normalizes metabolism without any side effects. A unique and balanced formula to reduce overweight thus enhances energy to perform the routine activities in a better way. 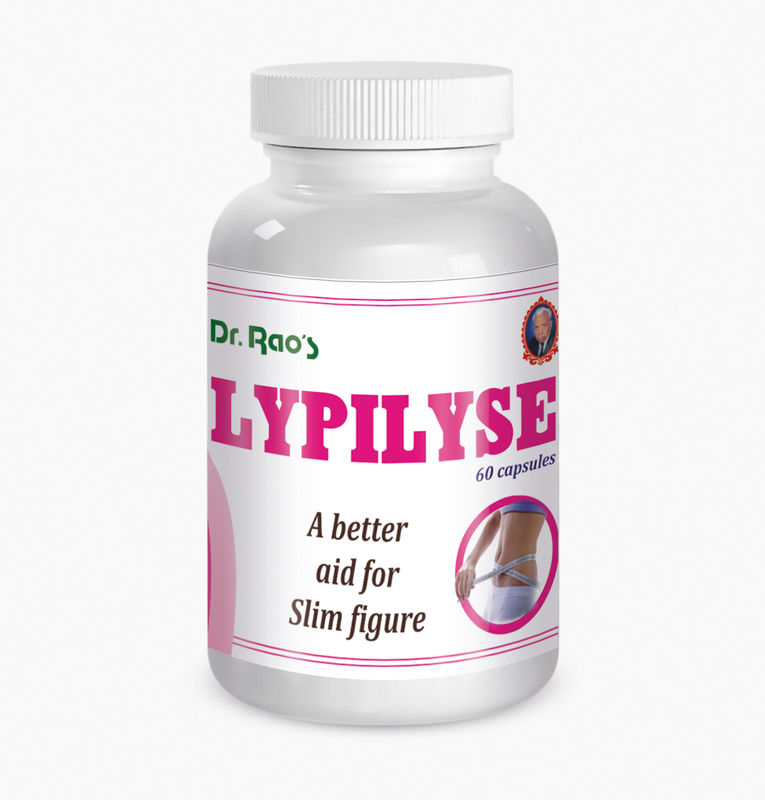 Promotes mobility, regulates assimilation and elimination process in over weight individuals thus helps to slim in a controlled way without discomfort. Makes one to be a step away from serious conditions like hypertension, diabetes, heart failure etc. Commiphorawightii (Guggulu), Cyperusrotundus, Piper longum, Psoraleacorylifolia, Semecarpusanacardium, Eclipta alba, Acacia catechu, Black bitumen (Shilajit), Picrorhizakurroa. One or two capsules two to three times a day after food. For better results avoiding fatty substances in diet is a must during and after therapy.